How can CCPlus’s live 24 hour janitorial answering service help you sweep the competition? 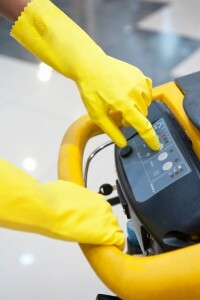 Janitorial services are a much needed but highly competitive business. How do you clean up your services to leave the competition in the dust? You polish up your customer service. Using Call Center Plus janitorial answering services will make your business shine! When an individual, a business, or a school is looking for a janitorial service, great customer service is often times more important to them than price. Just like any service industry, the bulk of your janitorial business is built from client referrals. You make a good first impression, do a great job, are dependable, responsible, and reliable, and then your client will happily come back and tell others about you. So how would a live, inbound 24 hour janitorial service answering service help you accomplish any of this? That means you never, never miss another call! Whether you use our services after hours, for your overflow calls, or simply want us to take the phones all the time, you can be assured we are here 24/7 to answer your phones. So why not just rely on voicemail? Remember that good first impression you want to make? Studies show that most people will just hang up rather than leave a voice mail. They want to speak to a live person. They want the human touch. If you are not offering a live person, chances are the person answering your calls and booking your appointments will be your competition. We will answer your calls in your business phrase and represent you in a professional and competent manner so the callers feels they are being well taken care of by your office. What can we do for your business when we answer your phones? We can schedule appointments, answer basic FAQ’s, call your emergency on-call personnel, take detailed messages, and then deliver the information to you rapidly using email or SMS texting, or both. You get your messages when you need them in the way that is most convenient for you to get them. We personalize what we do for you based on what you want and need us to do. We can customize our services to best represent your brand. Do you offer any of your cleaning products for sale? We can take the orders from your website or customize an order page just for you. To receive a form to setup a Janitorial Answering Service account with Call Center Plus, enter your information below! We help you save and even make money. When you hire Call Center Plus Janitorial Answering Services to take your calls, it means no more lost business due to not being able to speak to a live person. You get 100% of our services 100% of the time. Our services are not priced a la carte. We can do the job of a receptionist, scheduler, and customer service rep. The big difference is that we do it 24/7 no just 40 hours a week. You pay a nominal account maintenance fee plus operator time used each 4-week billing cycle. We bill in real time, which means we round to the second, not minute. That saves you money right there. There are no contracts locking you into a certain bundle of minutes. You pay only for the minutes you actually use. When your clients are greeted by a friendly voice, are professionally taken care of on the call, and then get your great cleaning services, they will come back. That makes you money. When your clients tell their friends and business associates about how wonderful you are, you create more revenue. Are you aware that many call centers actually outsource their services? We do not outsource our services and never will. We are a US based company and have been serving our clients’ needs for over two decades. English is our first language. That means your callers will be able to understand us! When you team Call Center Plus with your janitorial business, it makes for a one powerhouse combination. You will be able to seriously mop up the competition! Download our brochure and setup form. Give us a call. You will be happy you chose Call Center Plus as your live, 24 hour janitorial service answering service. Call Center Plus … We answer your phones! Mention Janitorial Answering Service or Answering Service for Janitorial Service for a free one hour setup!